Happy Friday, friends! It’s been a busy but wonderful week for us here in Chicago. Chris started a new service on Wednesday, and we are hopeful it’s a little easier than the last one he did (where he would often get home at 10:30 p.m. and have to leave home by 4 a.m.). Chicago is supposed to get its first freeze this weekend, so after several beautiful weeks, I am bracing myself for winter. This post contains affiliate links. If you click on them, I get a tiny commission. My heart is full after a week filled with friends and family. I loved having my best friend here for a long weekend and showing her around the city. I think she left loving Chicago as much as I do. Then, my in-laws visited us for a day because my father-in-law had a business meeting here. We introduced them to Eleven City Diner, and (of course) they thought it was delicious. I can’t wait for them to come visit us for a few days in November. When Ally was in town, we had to go shopping, and I fell in love with this sweater from Loft. The details on the sleeves are so pretty. I can’t decide whether to get the soft berry or the autumn navy. Skyler goes crazy every time we get a package from our friends at Chewy. This month, I wanted her to enjoy fall with us, so we got Grandma Lucy's Organic Pumpkin Oven Baked Dog Treats. I loved that they are made in the shape of tiny teddy bears, and she loved that they were tasty. I have mentioned before that Sky often hides her treats for later if they are not her favorites, but she gobbled these up right away. I will definitely be buying these for her in the future. 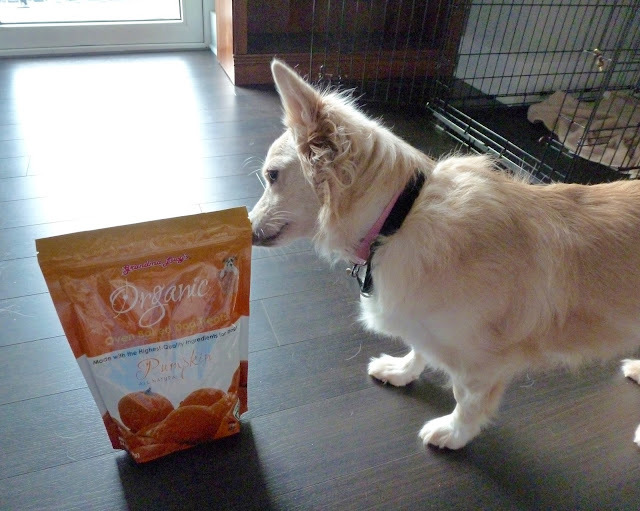 Disclosure: Chewy.com sent me Grandma Lucy's Organic Pumpkin Oven Baked Dog Treats to review. No further compensation was received, and all opinions are my own. Lately, I have been up for having chili almost every day, so I was excited to get The Chili Cookbook by Robb Walsh. The cookbook features 60 amazing chili recipes that take you on a trip all over the United States. It has a great variety of options, from vegetarian chili to Tyler Florence’s short rib chili. I love that he features several slow cooker recipes and gives descriptions of different regions interpretations of chili. As someone who loves chili and learning about Chicago’s World Fair of 1893 (thanks to The Devil in the White City), I loved learning that chili con carne became popular at the world fair. Every time I cook chili now, I reach for this book. I’m excited to try as many as I can. I received a copy of "The Chili Cookbook" from Blogging for Books for review, but all opinions are my own. My sweet bestie bought me this gorgeous navy statement necklace from Francesca’s for a late birthday present. I can’t wait to style it with my favorite sweaters. That's so awesome that you've had so many visitors lately! I know that when we have friends that move to a different city, we love planning trips to visit them because it's always way more exciting than home! That chili cookbook sounds amazing, and it's so cool that they tell you about chili from different areas. Have a great weekend! That necklace is so pretty!! It's always nice to have visitors. Have a fab weekend. Your pup is so dang cute! We got yummy fall treats from Chewy this month too. I just love all their great selection! And that sweater is gorgeous. I'm such a sucker for all the LOFT sweaters. I think I own like 90 and buy 2 new ones every year haha. Glad it was such a great weekend with friends and family! Hope the freeze doesn't hit too hard there! I hope this new rotation is a little easier on both of you. And good luck with this weekend's freeze! 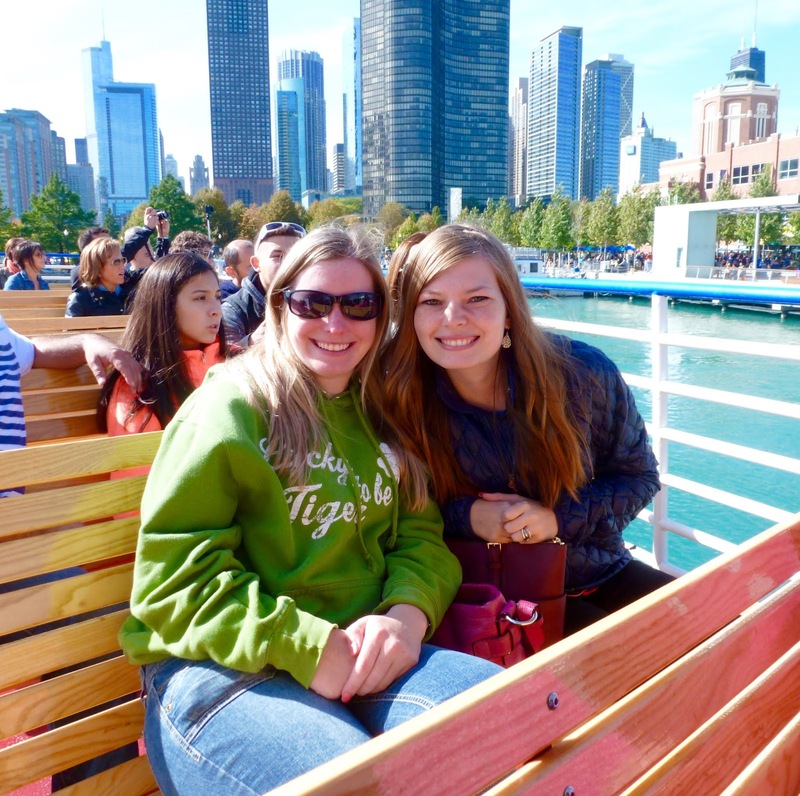 I've never been to Chicago, and I know I read other Chicago bloggers from time to time, but there's something about you just moving there and exploring it as a newbie that makes me really, really want to visit. That first pic is great!!! Really, anyone who doesn't like a piping hot bowl of chili...well, I question their sanity. Our Bulldog got those same treats in from Chewy and he loved them! They reminded me of teddy grahams! I love that sweater, so cute! I can't wait for sweater weather in Texas! Have a great weekend! The treats reminded me of teddy grahams too! They were so cute. :) I remember waiting forever for sweater weather in Texas-I hope it cools down there soon! Having friends and family visit is seriously the best! Chewy has the best treats. Lola has been enjoying her new biscuits all week long. Great you got to spend some time with your girl friend and in laws and show them around the city. It's hard not to love Chicago. I love that sweater from Loft! Pretty sure I looked at it in store today! Soft berry everything!! I'm so glad you had such a fun weekend having your friend and family in town! GIrl, I'm always in the mood for chili too and I have to make myself refrain from going overboard. yay for having visitors in your city recently :) Gorgeous sweater... i would probably gravitate towards navy but the other color is so pretty too! I need to check out that chili cook book! You should-the recipes I have tried so far have been delicious!